In the North of France and Belgium, the Blicquy - Villeneuve-Saint-Germain culture marks the end of the Early Neolithic Period (beginning of the 5th millennium). The Blicquy group is constituted of eleven sites located in Belgium, with two main centers of occupation: one Western in Hainaut and one Eastern in Hesbaye, 100 km away from the first. As part of a PhD, the lithic industry of these sites is studied in order to reconstruct the circulation networks through a techno-economic analysis. It has been complex to identify the raw materials, given the lack of information about the siliceous outcrops in the Mons Basin. However, two main circulation networks have been highlighted: one of Ghlin flint and one of tertiary Bartonian flint. These two types of flint are indeed easily recognizable by their macroscopic characteristics. The outcrops of tertiary Bartonian flints originate from the Paris Basin, where systematic surveys have been conducted since the late 1980s. The circulation of tertiary Bartonian flint is now well-known and emblematic of the Blicquy - Villeneuve-Saint-Germain culture. Therefore, this paper will focus on the circulation of Ghlin flint in the Blicquy-Villeneuve-Saint-Germain culture. The Ghlin flint shows on the surface in the Mons Basin, about twenty kilometers away from the Hainaut sites. Heavily exploited in the latter, it was exported to the Hesbaye sites in a significant way, despite the availability of siliceous resources available in Hesbaye. Moreover, some artifacts circulated towards the Paris Basin. The study of the circulation of Ghlin flint can therefore help to determine the socio-economic organization of these populations by specifying the linkages between the population centers of Hainaut, Hesbaye and Paris Basin. 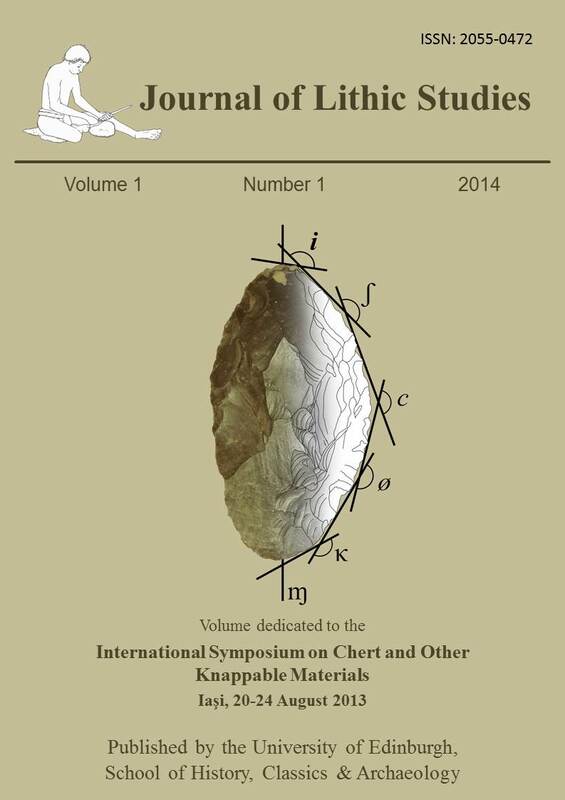 Bostyn, F. 1997, Characterization of Flint Production and Distribution of the Tabular Bartonian Flint during the Early Neolithic (Villeneuve-Saint-Germain Period) in France, In: Man and Flint, (Schild, R. & Sulgostowska, Z., Eds. ), Institute of Archaeology and Ethnology, Polish Academy of Sciences, Warsaw: p. 171-183. Robaszynski, F., V. Dhondt, A. & WM. Jagt, J. 2001, Cretaceous lithostratigraphic units (Belgium), Geologica Belgica, 4(1-2): 121-134.